When it comes to making money online, legitimacy and actual real cash payouts seem almost mythical, though people all around the world do actually make money online and work from home. 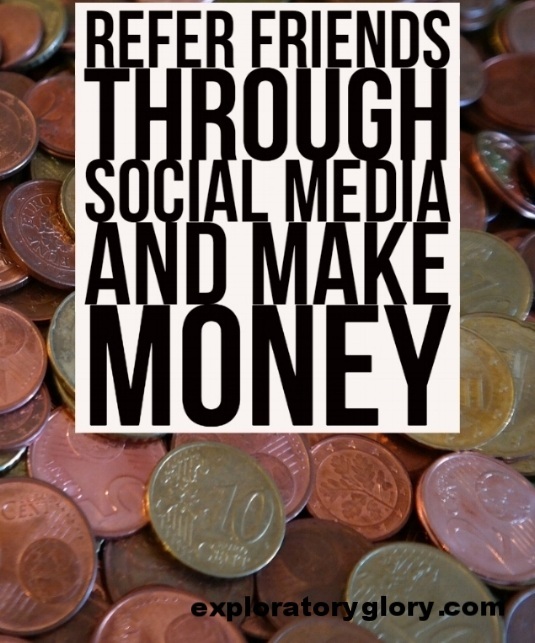 There are legit apps and websites that will pay you cash to refer friends through email and social media platforms, as well as your personal blog or website. Your probably sitting there saying, “Why would they pay me money?” but you see certain companies are willing to pay cash rewards just to get there brand out there, it’s actually a pretty smart form of advertising. What’s better then having a loyal user or customer promoting your product to friends or fans that know and trust them, it’s genius really and that’s precisely why certain companies don’t mind giving a little kickback. Referring people is not a complicated process and can easily be done by just about anybody. Just click on the title of any of the companies I have provided below and get started today. Simply sign up like you would regularly do and you will find the referral code(URL) somewhere on your account, then copy it and start sending it to friends. The link can be sent through many platforms including text message, email, personal website, Facebook, Twitter, Instagram, Pinterest, etc. So there you have my top money making referral sites that offer real cash incentives. This list will most likely expand over time, so be sure to check back in the future for more money making opportunities. If you have any ideas be sure to comment in the section below.